Pastor Ayo Oritsejafor has recently been in the news over reports that he got a private jet as gift from church members to celebrate his birthday and his 40th anniversary on the pulpit. 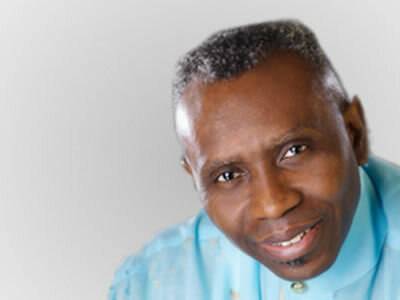 Oritsejafor, the president of the Christian Association of Nigeria (CAN) spoke to the press about his journey so far in Christendom and reasons behind his parting of ways with Late Archbishop Benson Idahosa’s Church of God Mission. What will say was the turning point in your life? The turning point in my life was the day I gave my life to Christ which changed every thing. I believe that change begins from the inside. One of the reasons Nigeria is struggling today is because the transformation agenda we are talking about is not yet focused at per-sons and who they are from the inside. The constitutional amendment they are currently talking about…I don’t believe that the problem of Nigeria is the constitution. You can amend it, but who will implement the new one? Is it not the same people who have being using the old one. Everything about change must begin from the inside. If the man inside doesn’t change the man outside won’t change either. The turning point of my life was the day I took that decision in Sapele to give my life to Christ, because suddenly I saw myself the I way I really was. A clear picture came to me and I realized why I was living that way. It’s because I was living my life without God. I was trying to live my life the best way I could without realizing that there is a better way. There is an invisible person that influences us as Christians even when you don’t see any-body. That was how the change in my life began because the places I used to go I stopped going there and the people I used to move with I stopped because the change on the inside did not agree with those kind of people. I bought a Bible and I started seeing life in a different light as my eyes opened to better possibilities. Were these things predestined? Is it possible that God decided to take you through that route, ugly it was, in answer to an earlier prayer by your mother? My mother became pregnant and had me because she desired to have a male child. She went to the First Baptist Church, Broad Street, Lagos which was pastored by Dr. J.T. Ayorinde who later became the first Nigerian General Secretary of the Baptist Conference. My mother went there to pray and challenged God; ‘if you give me a male child I will give him back to you’. That was the beginning of the beginning but you know that was the commitment made by another person on my behalf. I grew up and went my own way but God Who knew those commitments…you see it’s strange that Moses started life in the home of his enemy; he grew up there, understood the lives of his enemies, educated by them and got the best of every thing among them. When I look back now, I can boldly say that a lot of these experiences, ugly as they are, actually prepared me for what I am today. I have discovered that there is no experience that we go through in life that is wasted; good, bad, ugly. They are all useful. That is why the Bible says ‘all things work together for good…’ I am happy today because there is no way I could have learnt the things I learnt then if I didn’t go through that way. No experience is lost and I am grateful to God. I cannot applaud myself for those experiences, but I thank God because I have gained a lot and continue to gain from them. While there are bad things in those experiences, yet there are some usefulness in them because one can learn, one has learnt and one continues to learn from the experiences. Can you relive your experience at the Church of God Mission where the turning point actually started? I will never forget Church of God Mission because that was where I became a Christian. I was in the Baptist Church but I knew nothing about God. I gave my life to Christ under the ministry of the late Archbishop Benson Idahosa and immediately became an active part of the church. One thing I would be grateful to God for about that man was that he was able identify potentials in people. I knew him from the day I gave my life to Christ but the day I had the closest encounter with him that changed my entire life was during an evening service in Benin; the place was packed and he wanted a song and I jumped out to lead the song. By the time I finished that ministration, he asked me; “Who are you?” I told him my name and he said; “I know your mother. Tell your mother I want to see you. I want to see her too.” That was how a very close contact started and I started coming to his home and spending a few days there even when I had returned to Sapele. He liked me. I became assistant pastor and very vibrant but there were certain situations I don’t want to get into, that lead me to go to the Baptist seminary. He didn’t like it. However, when I returned, my heart was to start a church and I went on a seven-day fast. But on the day fifth day the Lord said to me: “Break the fast. I have answered your prayer.” So, I had to break the fast and the very next day, I had a knock on my door and it was Archbishop Idahosa with three other persons. It was strange to me. He asked me what I wanted to do now, but I couldn’t answer him. The interesting aspect was that God spoke to me later: “That’s why I told you to break the fast that I have already answered your prayer.” That was how I came back to Church of God Mission where I was asked to start a church. In six months my branch in Sapele became the largest in CGM as a whole. It grew so much, that in three months I gathered enough money to buy microphones, amplifiers and everything at a time when no other church except the Idahosa branch had a microphone. I went to Benin to tell him, I have the money and I wanted to buy these things, because I didn’t know where to buy these things and he was visibly shocked. Eventually, I moved to Warri and a lot of people thought that was a mistake. At the service this morning, I said; “when you submit to people they become responsible for your mistakes and what have you.” Idahosa told me to move to Warri. It didn’t make sense because at that point there were people who knew me as a friend to Reinhard Bonnke and many other heavyweights at that time. Some persons were not happy, wondering what I was going to do in Warri. However, I prayed and God said ‘go.’ Against all odds and advices, I obeyed and moved to Warri. I had some ugly experiences when I came but it is part of my life that I am ever grateful for because it helped to mould me. If there was anybody I learnt anything from, it was the late Archbishop Benson Idahosa. I don’t care what anybody thinks of him, I think he was a hero as far as I am concerned. He was a great man; an incredible man. I thank God for all the experiences I had in CGM. It depends on the way you look at it. It wasn’t pleasant because I thought that was where I was going to be for life—especially after the fasting experience and the archbishop walking into my house and the confirmation I got from God—but what I didn’t realize, and most of us do, is that life comes in phases. There are different levels and at every point when you have to move to another level, sometimes there could be frictions. It could be rough, tough. But all that is just a sign that you are about to move to another level. It was in November 1987. The interesting thing about my life is that a lot of the very fundamental things in my life seem to always happen in November. I was born in November, got converted in November, I married my late wife in November; I met my present wife in November, Word of Life started in November and many more. We went for the CGM convention which used to be in the first week of November and certain things began to happen on the platform which shouldn’t be. I tried to go from behind to sort out whatever it was, but what I discovered later was that there were certain people who were instigating crisis. I didn’t know then, but now I know. I tried to sort out things but no; to the point where it became obvious that I could no longer remain there. There were pronouncements that were made publicly that it would be out of place for you to remain in a place where there were such public pronouncements about you; telling you to move on. It was that bad that some foreign guest speakers had to stop by in my hotel room to say; ‘young man, you have to move on.’ I can’t even tell you some of the things they said. I tried all my best to contain it but to no avail. The whole country was tensed up because of the incident and I was surprised that the events stirred up so much emotion across the country. The very next week, my very good friend, Dr. Ezekiel came over to Warri here to see me and we sat together and I drafted a letter of apology to the late Archbishop; while I knew I didn’t do anything. Dr. Ezekiel took it and went to Benin and gave it to him. He waited till the late archbishop read the letter. Dr. Ezekiel told him to pray for me, which he did in his presence. I wasn’t there. Later, I went on my own to see him and he prayed for me. Though he would still go out there, saying things about me in the media, but I never replied. It would have been very stupid of me to reply, because your father is always right. Your father is never wrong! Never! It’s a foolish child that goes in public to compete with his father. That is my philosophy even till date. Throughout the period I didn’t make any defence, but I was sneaking in and out of his house and he would laugh. I never questioned him for anything he said, because I think he never meant those things he was saying about me. The man loved me and I don’t believe he meant to hurt me when he said those things he said about me. When my late wife passed, he was one of the first people that came to my house. He came, sat with me and spent considerable time with me, praying with me. I could see the tears in his eyes. Before I got married to my new wife, I took her to him for his approval. He sat her down and threw some bombs at her apparently in his effort to get something out of her and at the end he took me out and told me to go ahead. He prayed with us. Though I left the CGM but I was still there, in the sense that the connection remained and we continued to work together. For the last two, three years before he passed, I attended his convention uninvited and quite naturally they would put me on the platform and all that. That probably was the most important part of my life in Church of God Mission because after I left, my life was still connected to that great man. That marked the beginning of Word of Life Bible Church. No doubt there would have been some experiences either pleasant or not. What would you say such experiences were? When I got saved God ministered to me, saying that at a time I would go back to my beginning. I was born in Lagos where I started my early life. So, my thinking immediately I left Church of God Mission, was that I would go back to Lagos. I didn’t understand that my beginning was right here. My plan was to move to Lagos because that was home or so I thought. But in my usual way of doing things I had to pray just to get proper clearance from God. I prayed and He said: “Son, you are not going anywhere.” I was discouraged because all my things were already packed. I prayed again but God still said ‘this is home. You are not going anywhere. This is the beginning.’ That was one experience I will never forget. So, I had to start Word of Life Bible Church. It was rough, because I had nobody that I could call my own. There were just one or two people that I could send a message. To find money to rent a place…..look it was rough! I didn’t have anything. There were those who were just laughing at me, saying ‘you are crazy. You are stupid.’ But I took the risk because this was God’s mind for me. After I prayed, I settled it. I fixed the date. At that time, being a military era, you couldn’t preach on TV. I couldn’t go on TV, so I couldn’t even make any announcement of TV. Radio and TV stations would not accept any religious advertisement. So what I did was to hire a microphone and one horn speaker and mount-ed them on a rickety vehicle with one of cousins who likes talking inside the vehicle. While the vehicle was driving round Warri, she was announcing the beginning of Word of Life Bible Church. Do you know that even at that I was afraid of what was going to happen on the inaugural day which was a Sunday. I intentionally fixed it on a Sunday because I know it was a day of worship and those who want to come would come. The next day, I started the prayer seminar and whatever offering we gathered we used to make one or two chairs. I just carpenters around who were coming to our aid. Small small we gradually developed until we moved here. How has the 40-year journey been? Trying but exciting. Uncertain but today I can say fulfilling. Adventurous but today, I can say I can see clearly now. I am grateful to God. One thing I would say to young people, don’t do anything if you are not sure, it’s God. The way I see people getting into ministry today, is very troubling to me. As a leader of Christians in this country, I am very troubled. As a leader of the youngest move of God, which is the Pentecostal Movement, I am very troubled. We are almost an uncontrollable group of people and the way it is, is because we have had an experience which is called the Holy Spirit experience; which is good. The problem that has come out of that is that when people cough, they say its the Holy Spirit. They talk nonsense, they say its the Holy Spirit. How do challenge a man who says he’s motivated by the Holy Spirit? This is what we have done to the Pentecostal Movement and it very painful. The consolation God gave me is that for every move of God had had its own teething and trying periods beginning with the great Roman Catholic Church to the Protestant, the Anglican, Lutheran, Methodist, to the Presbytarian, Baptist and so on. There are trials, problems that happened so long ago that people today don’t really know. – Interview excerpts was obtained from the Vanguard Newspapers. One Great thing in life,is to learn from others mistake,and make it your success.